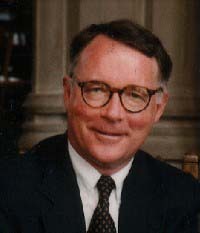 Joseph Quinn is a professor of economics, holding the James P. McIntyre Chair, at Boston College and the former dean of the College of Arts and Sciences. He has done extensive research on aging issues. His work has covered the economics of aging with emphasis on the economic status of the elderly, Social Security reform, the determinants of the individual retirement decision, and trends and patterns of labor force withdrawal among older Americans. Professor Quinn’s work using the Retirement History Survey from the 1970s was summarized in Passing the Torch: The Influence of Economic Incentives on Work and Retirement (1990), co-authored by Richard Burkhauser and Daniel Myers. He is now working with the Health and Retirement Survey, analyzing the nature and timing of retirement since the 1990s. Professor Quinn has served on numerous boards and was co-chair of the technical panel on trends and issues in retirement savings for President Clinton’s 1994-95 Advisory Council on Social Security. Dr. Quinn received his B.A. from Amherst College and his Ph.D. in economics from the Massachusetts Institute of Technology.